With a multitude of storms hitting the world right now, planes aren’t really the place to be right now. 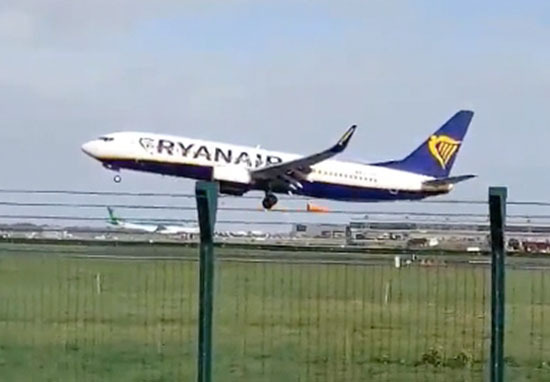 A shocking video shows the moment a plane came into land, but failed due to the strong winds. 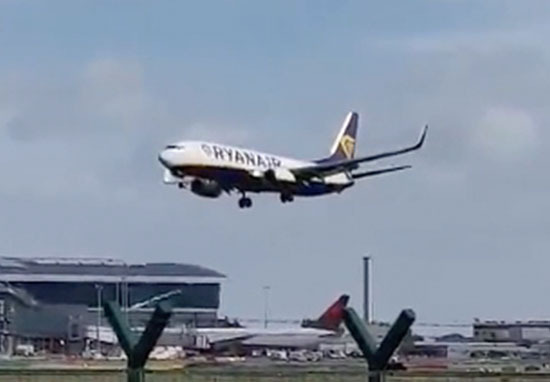 The Ryanair flight flew into Dublin airport from Brussels this morning (September 19) and came in towards the runway for its landing. However, high winds took their toll, and before reaching the ground the plane raised back up into the air. Everything is fine at Dublin Airport, however, planes are struggling to land due to the high crosswinds. Some planes tried to land and then took back off into the sky, some tried to land maybe 3 or 4 times. There was much screaming and crying from passengers, but pilots guided us in safely on second attempt. We circled for ages before being authorised to land, then the turbulence hit us. The plane would suddenly drop and passengers would groan and scream. We were all hoping it would be over soon and we’re happy to see that we were getting close to landing. At the last minute the engines roared and the pilot took us into an emergency ascent. Everyone was hanging onto the seat in front of them. The pilot came on to apologise and say we would be attempting a second landing and that we should follow any crew instructions. We had a few hairy moments when the plane dropped again and swayed heavily coming in, but we finally landed. They also shared a post about the issues the storm was causing, warning passengers that many flights have had to be cancelled due to the treacherous weather. We’ve had 42 cancellations & 8 diversions due to high winds from #StormAli today. Please check with your airline in relation to your flight before coming to the airport. Storm Ali is bringing winds of up to 80mph and heavy rain as it hits the UK and reminds us that summer is well and truly behind us. An amber weather warning has been issued, and according to the BBC around 55,000 homes and businesses in Ireland have been left without power. The mass of cloud on the left image is #StormAli still developing as we speak. This is bringing some very heavy rain across Northern Ireland and western Scotland which can be seen on the right image. Take care in the bad weather!